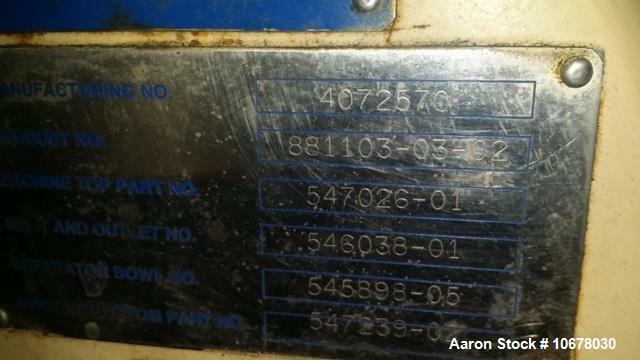 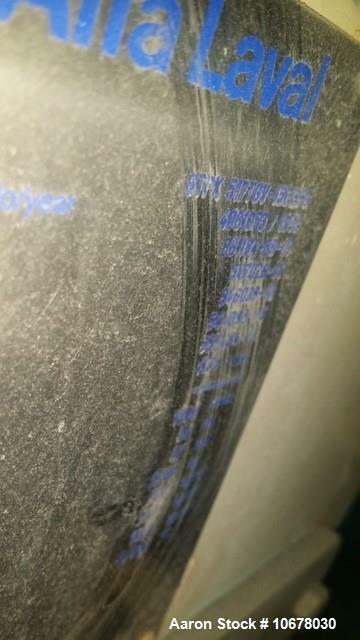 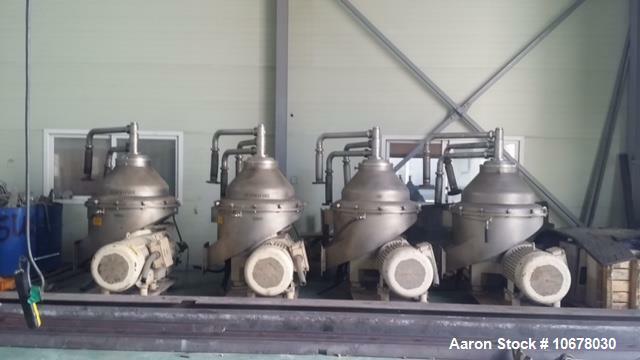 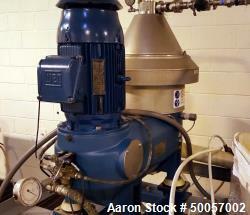 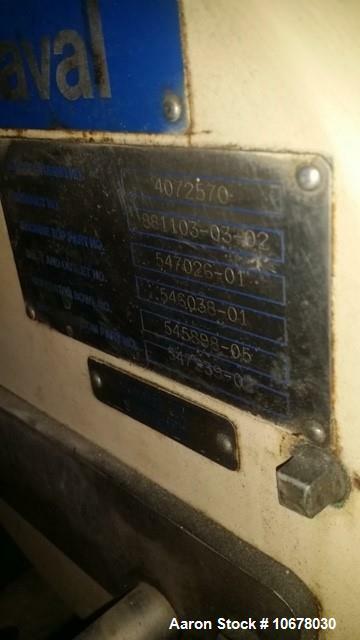 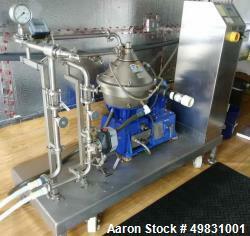 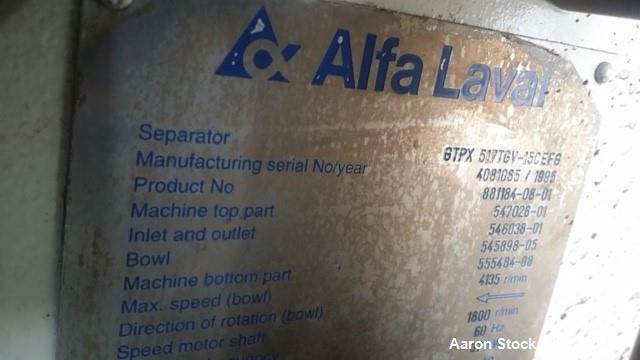 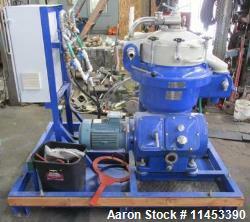 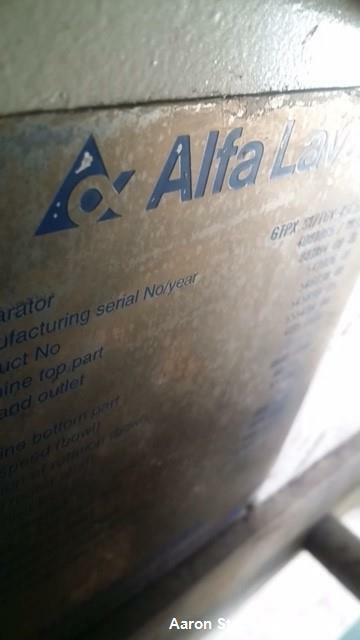 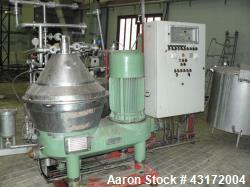 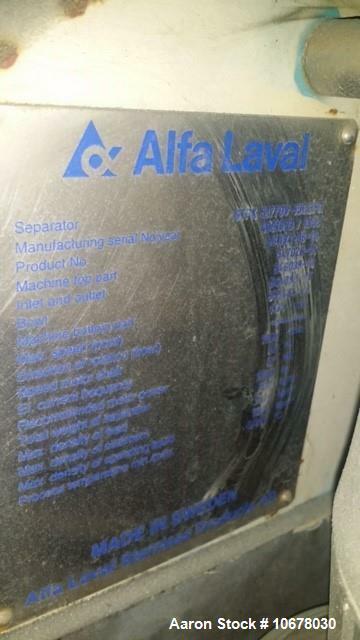 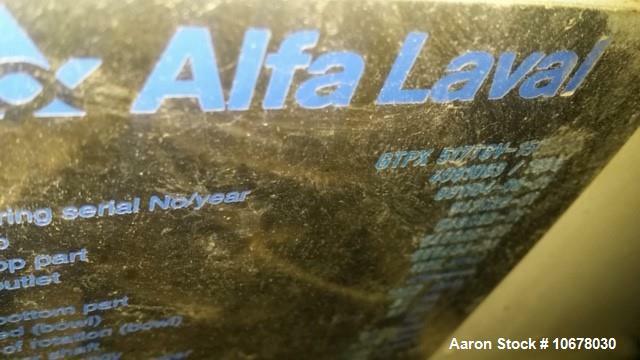 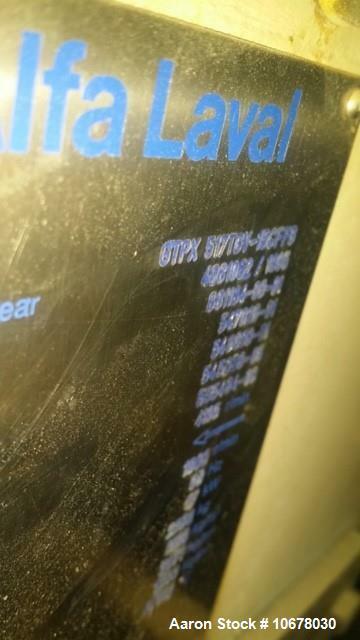 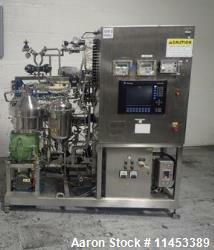 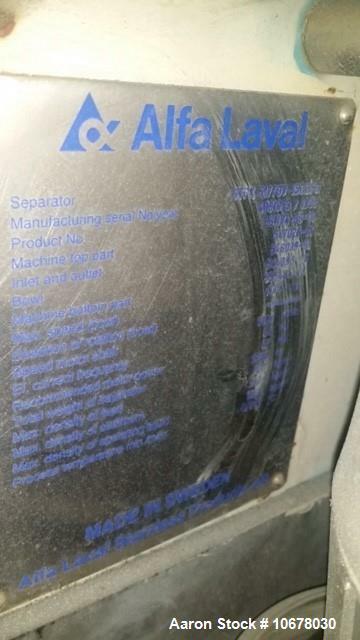 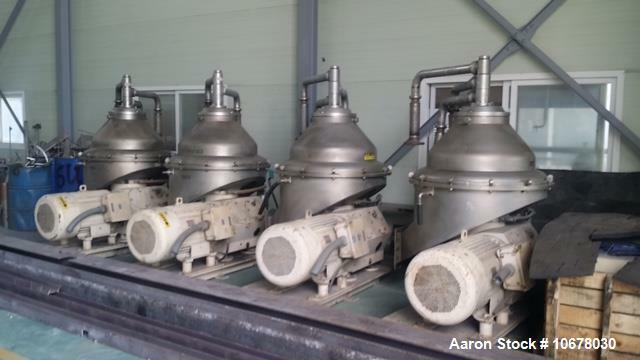 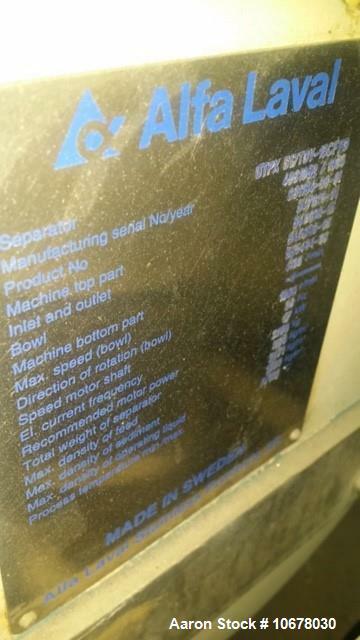 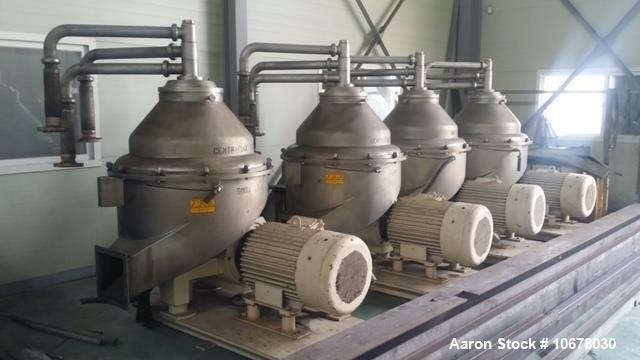 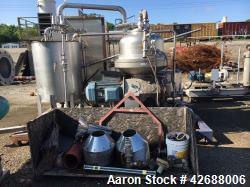 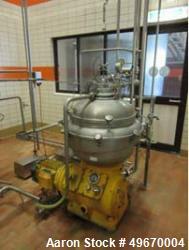 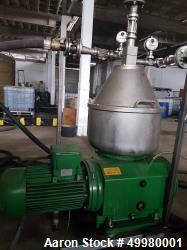 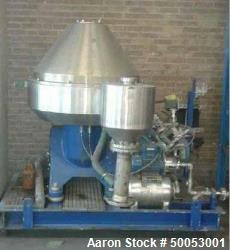 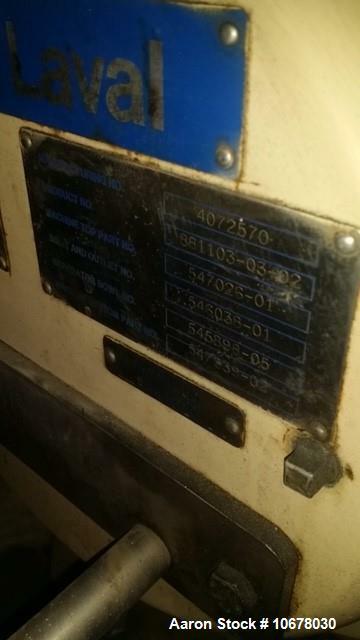 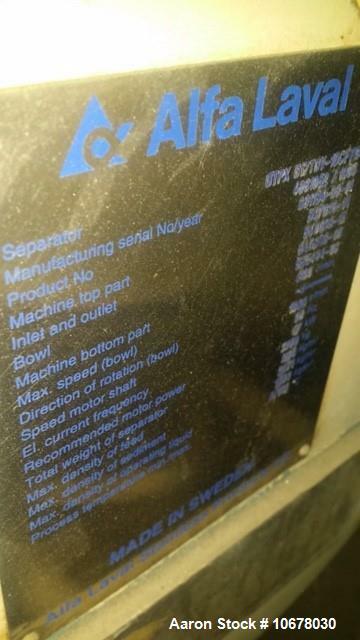 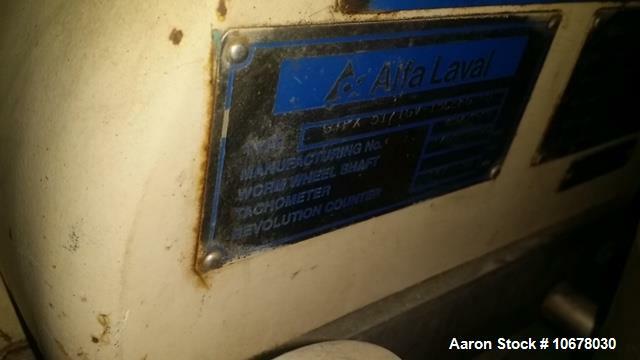 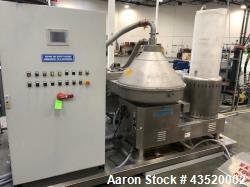 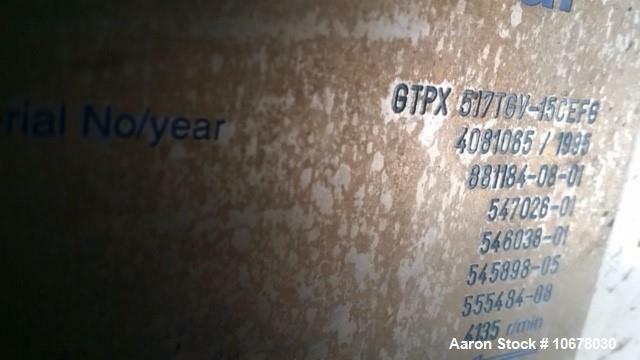 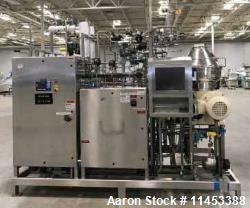 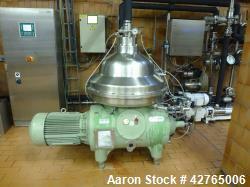 Used- Alfa Laval GTPX-517-TGV-15CEFS Desludger Disc Centrifuge. 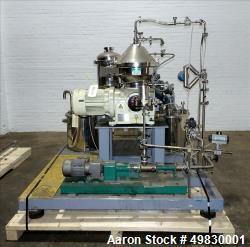 316 Stainless steel construction (product contact areas), gas-tight design, spark proof design, gas-tight at high pressures, maximum bowl speed 4135 rpm, three-phase separation design (liquid/liquid/solids separation), centripetal pump liquid discharge, deep sludge design lower casing, timed solid discharge, direct drive configuration (motor and separator on same base plate) with rigid coupling, 50 hp drive motor 460/3/60. 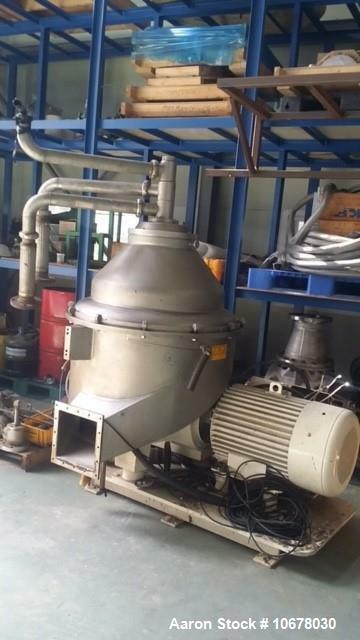 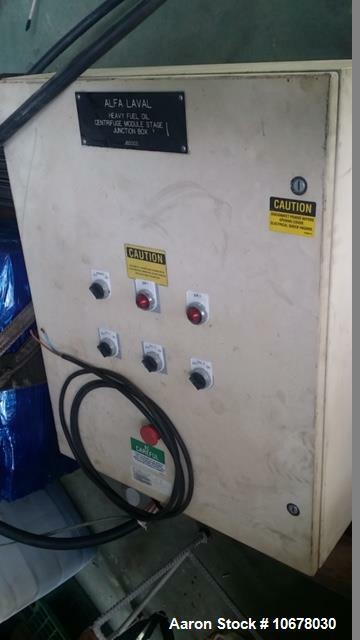 Used Pieralisi SD 300BD Desludger Disc Centrifuge.